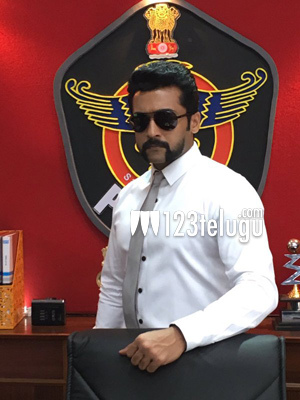 Record price for S3’s Nizam rights? Suriya’s upcoming film, S3, is currently progressing at a brisk pace in Vizag. The film, which was kickstarted a few months back, has major expectations attached to it and is being shot on a grand scale. According to the latest buzz, the film’s AP and Nizam rights have been bought by Malkapuram Shivakumar for a whopping Rs 18 crores, which is an all-time record price for a Suriya-starrer. The film is touted to be an all-out mass entertainer. Anushka Shetty and Shruti Haasan are the female leads in this film, which is being directed by Hari. The film is slated to hit the screens on October 28th in Telugu and Tamil simultaneously.